College Law Enforcement Academy on November 30, 2018. He is a 2010 McCollum HS graduate. He was previously employed with the GEO Group Inc. If your home or business has an alarm system that is monitored, please contact you alarm company and provide them with the correct number which is 830-769-3434, Option #1 for the Dispatcher. 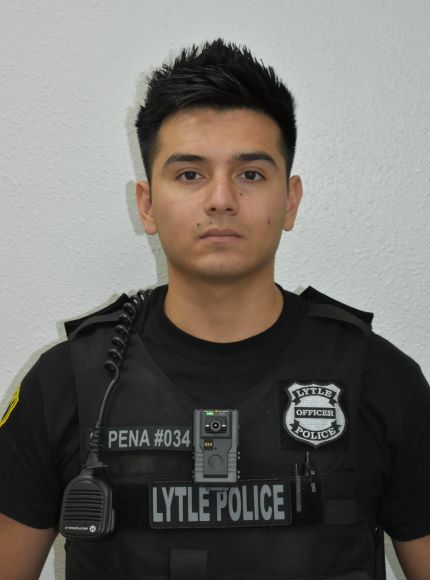 Welcome to the homepage of the Lytle Police Department. We are located on Hester St. between the cross streets of Florence St. and Martin St. (two blocks off Main St., under the water tower). You can turn off of Main St. on Martin St. (By the Church of Christ) or at S. Prairie St. (By the Chevron). Our neighbors are the Oak Park Country Club & Pool and the Lytle Public Works Yard. Our physical address is 15245 Hester St. 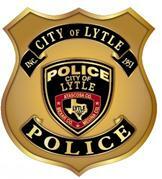 While the Lytle Police Department has Police Officers on duty 24 hours a day the facility is often unmanned. A receptionist is normally on duty from 8:00 am until 5:00 pm during normal business hours (closed on city holidays). There are times that the facility is unmanned during normal business hours so you may want to call ahead to avoid any inconvenience. Our office phone number is 830-709-0277; this number is best used to contact us for routine information and administrative purposes. If you need a police officer dispatched to your location or you need to report a crime or incident that just occurred it is best to contact our dispatcher at 830-769-3434 (option #1 for dispatch). We are dispatched by the Atascosa Co. Sheriff’s Office in Jourdanton, TX. They have direct radio contact with our on duty officer(s). You can find our current and past weekly and monthly reports. Be sure and explore our pages, check out the Divisions section for lots of information on us! Feel free to stop by the Police Department to talk to us in person about any issue or concern. The following is a link to Frequently Asked Questions not only for the Police Department, but for other departments in the city as well.